Disney has been researching, installing equipment, and building up to the roll out of its NextGen park experience for some time. There are many pieces to this effort, with plenty of different names that we no doubt become better familiar with in the upcoming months and years: FastPass Plus, My Disney Experience, and RFID to name a few. But one of the key components to Disney’s next generation of theme park technology is central to all of these efforts and in some ways ties them all together. It’s the MagicBand. 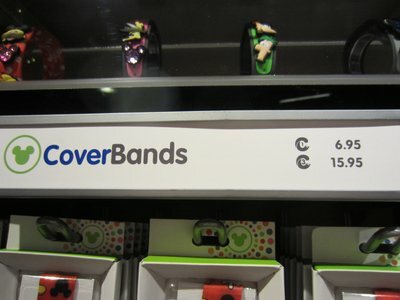 A MagicBand is a wrist band that will activate many of the features that Disney is planning for NextGen. 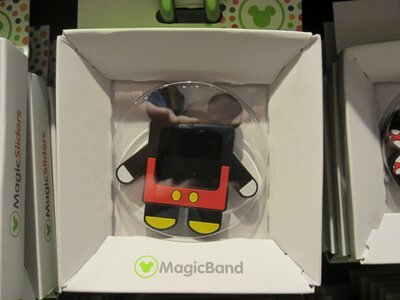 It contains an RFID chip which means that it can communicate your MagicBand number to nearby electronic readers. 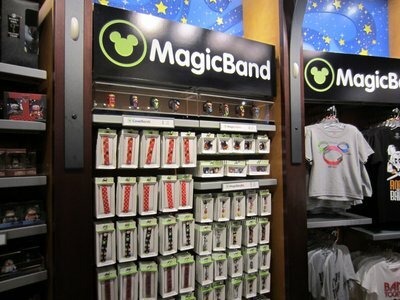 Sales racks of MagicBand stuff. None of these is fully confirmed, but most all of them seem pretty likely. Disney has been testing MagicBand recently, and you can read about a real user’s FastPass Plus testing experience. The MagicBands we have seen so far look like a rubbery or plastic wrist watch, except with no clock. Pretty utilitarian. Plus, if you have a large group, it might be hard to keep track of which MagicBand belongs to which person. Fortunately Disney has devised a way to help you personalize your MagicBand – and perhaps make a bit of money on merchandise in the process. 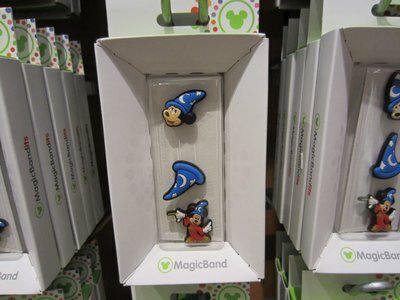 The Fantasia Gift Shop in Disney’s Contemporary Resort is the first Disney merchandise location to carry MagicBand accessories. A Cover Up is a sleeve that slides over the entire MagicBand to give it extra color and personality. Kits of cover ups were for sale starting at $6.95 for one or $15.95 for a package of three. 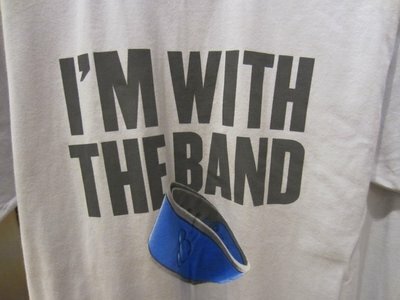 MagicBand Cover Ups or Cover Bands. How to install the Cover Up. There are plenty of different Cover Up designs available, including several different Mickey Mouse themes and a black pirate theme. 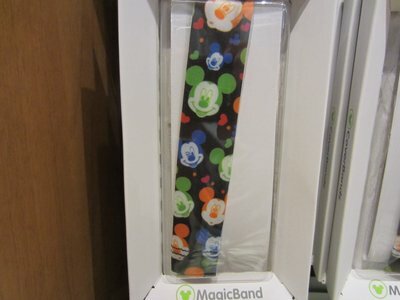 Sample MagicBand Cover Up with Mickey Mouse design. 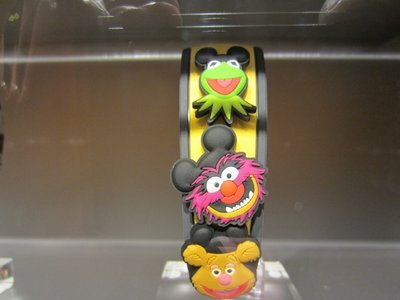 A MagicSlider is a primary decorative element that slides onto the MagicBand and goes over Mickey icon on the band. If a MagicBand were a wrist watch, the MagicSlider would go around the face of the watch. 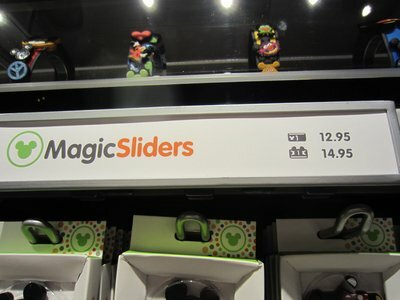 Disney was selling MagicSliders for $12.95 and $14.95. 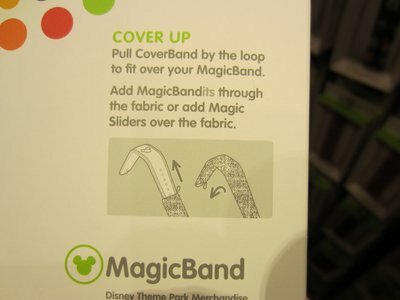 MagicBand MagicSliders box with installation instructions. The selection, at least for now, of MagicSlider designs seemed a bit more limited, with a square Mickey being the most prominent, and a few other Mickey sets available. This style of Mickey Mouse MagicSlider was the one most often on display. 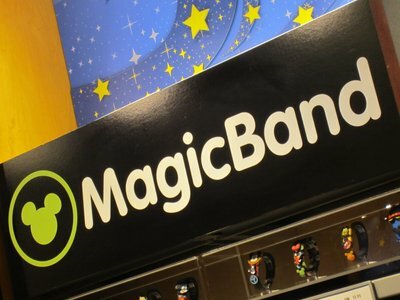 A MagicBandits (MagicBand-its) is a secondary decorative element that goes on the band of the MagicBand. 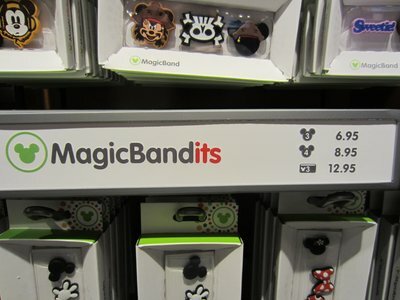 Disney was selling MagicBandits at three for $6.95, four for $8.95. Sample MagicBandits – may choices on these. They are sold in sets of three and cover a lot of different Disney characters, from Tinkerbell to the Nightmare before Christmas, as well as various design takes of Mickey Mouse and Minnie Mouse to the Muppets. Sample MagicBand all jazzed up. All of these accessories are completely optional. You could use your MagicBand just as it is. But it may be hard to identify each person’s different MagicBand, so I suspect many folks will want to add at least one accessory. I’m not sure that all three components are really necessary. I think the Cover Up makes a big impact, and the MagicBandits are fun. For the cost, I personally thought that that the MagicSlider was the worst value for the accessory buck.